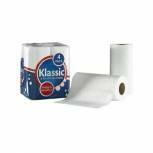 Klassic Kitchen Roll White 1105090 Pack of 1 Handy absorbent paper towel roll. Suitable for multiple uses around the home or office. Ideal for spills and general cleaning. 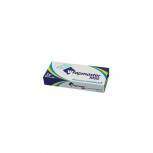 Absorbent, strong and excellent value for money. Colour: White. 6 packs of 4 rolls. 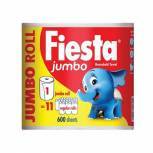 Fiesta White Jumbo Kitchen Roll 600 Sheets 5604400 Pack of 1 Fiesta jumbo kitchen roll with extra long sheets that re strong and absorbent. 600 sheets per roll. Ideal for mopping up spills. 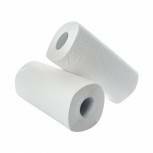 2Work Kitchen Roll (Pack of 2) x12 White KR0024 Pack of 1 Rolls for kitchen use. Highly absorbent texture. Ideal for mopping up spills. Bright white colouring. Supplied in 12 packs of 2 (24 rolls total). 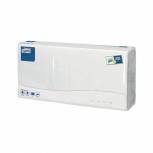 Plenty Kitchen Roll 100 sheets (Pack of 3) M01454 Pack of 1 Ideal for keeping kitchens tidy and cleaning away any spillages, this Plenty Kitchen Roll comes in a pack of 3, now will 100 sheets per roll for longer lasting use. 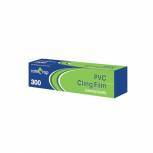 Each sheet features a perforated edge for easy tearing and use. 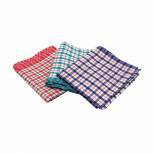 2Work Assorted Check Design Tea Towels 430x680mm (Pack of 10) KRSRY0311 Pack of 1 Everyday Tea towels features absorbent fabric ensures complete drying. Machine washable. Fabric designed not to fray or lessen in quality. Size - 70x47cm. Pack of 10. Assorted Colours. 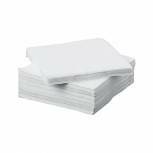 Napkin 2-Ply 330x330mm White (Pack of 100) 0502135 Pack of 1 Napkin 2-Ply 330x330mm White Pack of 100 502135. Absorbent and disposable. Great for canteens and large events. 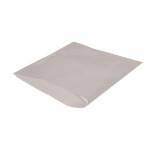 White 2-Ply Paper Napkins 400x400mm (Pack of 100) 0502122 Pack of 1 Soft and strong 2-Ply napkin. Size 400x400mm. Colour: White. Pack of 100..
Maxima Napkins 330x330mm 2-Ply Red (Pack of 100) VSMAX33/2R Pack of 1 Maxima Napkins 330x330 2-Ply. 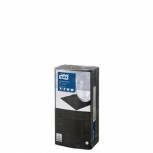 Two ply napkins ideal for office or catering. Size: 330x 330mm. Colour: Red. 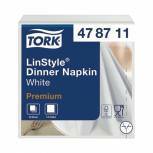 Tork White 2-Ply Lunch Napkin (Pack of 200) 477149 Pack of 1 Tork Lunch Napkin White 2 Ply. Ideal for formal dining occasions. Semi-crepe texture provides better absorbency. Size: 320 x 320mm. Colour: White. 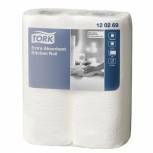 Tork Champagne 2-Ply Lunch Napkin (Pack of 200) 477153 Pack of 1 Tork Lunch Napkin White 2 Ply. Ideal for formal dining occasions. Semi-crepe texture provides better absorbency. Size: 320 x 320mm. Colour: Champagne. 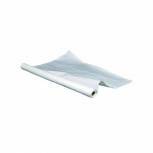 White Banquet Table Roll (50 Metres) 2232 Pack of 1 White Banquet Roll. 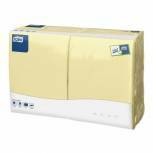 High quality 42gsm banquet roll, ideal for all office and party functions. Colour: White. 50 metres. 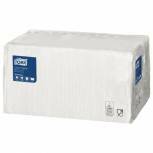 Caterwrap Baking Parchment Paper 300mmx75 Metres 21C26 Pack of 1 Ideal for fat-free baking. Siliconised on both sides for an easy release, non-stick surface. No need to grease cake tins or baking sheets. Widely used as a lining agent for cake tins and other baking equipment. 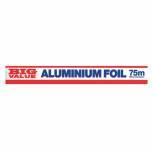 Pack of 1x 75 metre roll. 30cm in width. Wrapmaster 1000 Foil Refill 300mmx30m (Pack of 3) 34C27 Pack of 1 Foil refill for use with Wrapmaster 1000 Dispenser. Easily refilled for reduced down time. Dispenses neatly every time. Ideal for cold food storage and covering hot food. 30 metre roll / 30cm in width. Supplied in a pack of 3.